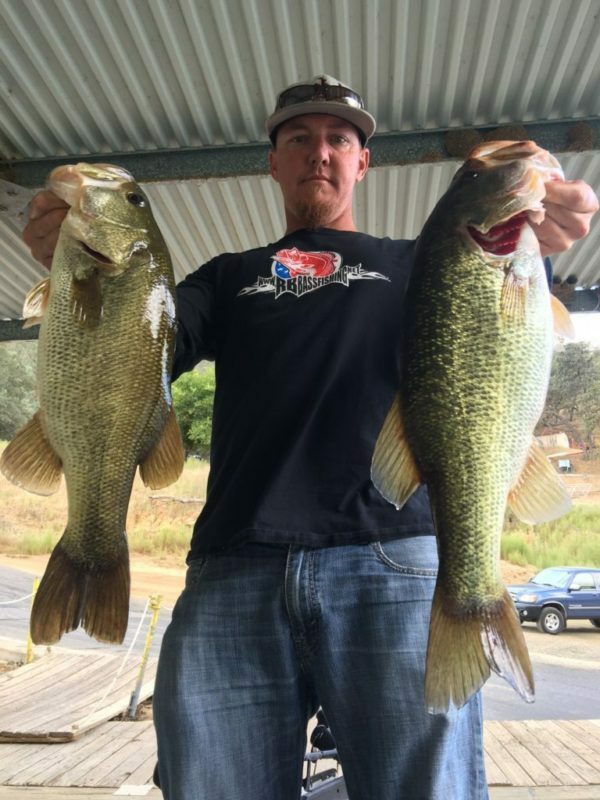 Last Saturday I got out for a Sonora bass tournament on the Delta out of Ladd’s. I’ve been super busy and wasn’t able to get out to pre fish. After taking a look at the tide charts and weather over the last week I figured I’d stay local and capitalize on time spent fishing versus running. Also the fact that it was the same day as BBT’s TOC, I didn’t want to interfere with anglers fishing it. My first run on blast off was the mouth of the first sloughs past Ladd’s. I started out throwing top water. Within five casts I realized, I just wasn’t feeling it. So I picked up my Falcon BuCoo Super Duty rod and started punching and heavy flipping. I was using a 1oz River2sea Trash Bomb paired with their New Jack flipping hook in 4/0. As far as my baits any crawfish imitation seemed to work. The cover that held the better fish was the thickest and hardest stuff to get my bait threw. The reason I didn’t just up the weight to get through easier, was once you got through the fish seemed to want a slow fall. I never had an initial fall bite and all were subtle pressure bites while working the bait. So I worked up the river to a spot I knew had a good mix of hyacinth, tulles and grass. Two spots with in a 100 yard stretch were really what I focused on the entire day. The patches were only about the size of a truck bed. It was the very bottom of low tide so rather than running for the right tide I waited it out. I was able to put a small limit in the boat for 10lbs by 8:30. At 9:00 the tide really started moving back in and got right! For the next three hours I literally worked as slow as humanly possible back and forth between the two patches, culling once on every pass. I felt the key was really to hit every target as quietly and effective as possible. At 10 I punched my best fish, at that point going over 5lbs. Ten minutes later I stuck another good one over 4 lbs. unfortunately during culling with the 4 lber the 5 lber jumped out of the well and right over the rail. That was a first for me! In a bit of a fit I still threw out the 2 lb. fish I was culling leaving me with four fish. After about 15 minutes of stewing I got back to it. At 11:00 I stuck a 7 lber. I had two more good fish that I never saw pop off after that. By 1:00 the bite pretty much dissolved. I switched to cranking main channel and was able to catch a few fish and made one more cull before weigh in. 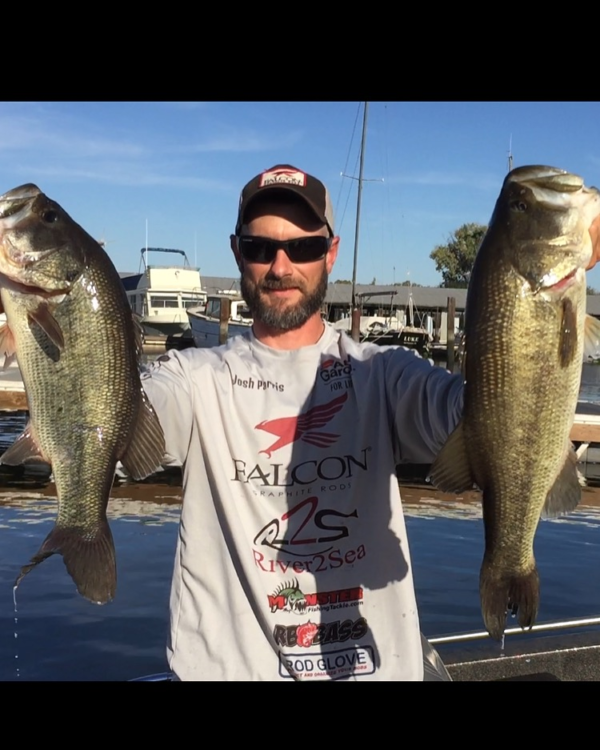 I ended the day with 18.72 which was good enough for first place and big fish for the tournament.